Following an eventful first practice session, the second one made headlines with very bad track conditions – which Mitch Evans managed best ahead of Jerome d’Ambrosio and championship contender Sam Bird. After an unusually early and prolonged first practice session this morning, at 10am New York time the drivers headed out for their last 30 minutes of practice before things get really serious in qualifying. Thus the majority of drivers headed out immediately, making it look like rush hour down in Brooklyn. Mahindra Racing driver Felix Rosenqvist was the first driver to set a time and became the benchmark for the others. Times continued to drop as Stephane Sarrazin (MS&AD Andretti Racing) became the first victim of the walls of the incredibly tight NYC track. With about half of the session done, Renault e.dams’ Sebastien Buemi was leading the pack with a 1:13.742s ahead of Oliver Turvey (NIO Formula E) and Bird (DS Virgin Racing). 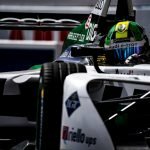 Meanwhile, Audi Sport ABT Schaeffler’s Lucas di Grassi who topped the eventful first practice session was in trouble. 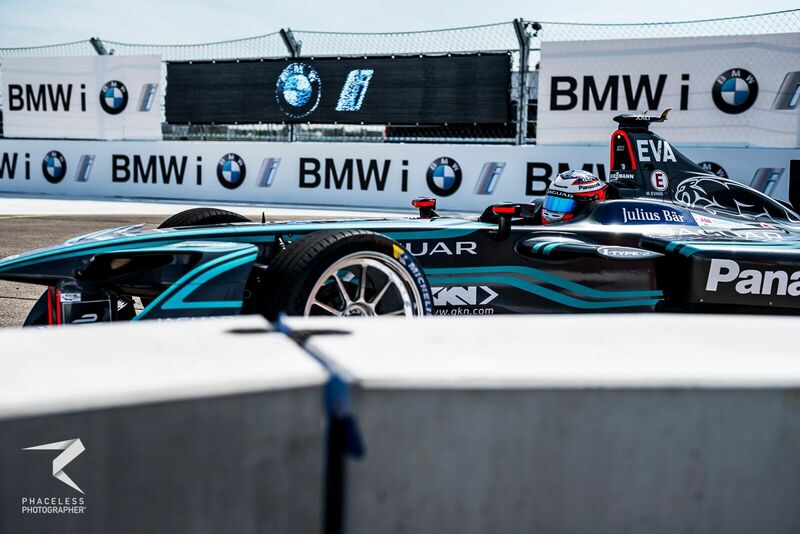 Starting his first 200kw-lap, the still reigning Formula E champion hit the wall and had to return to the pits for some repairs. The result: With 4 minutes still on the clock, di Grassi was last, 24 seconds behind P1. Luckily, his team managed to get him back out and showed his strength, putting his car on P4 – without using the full-power mode. Things changed at the top as well as d’Ambrosio (DRAGON) kicked Buemi off his FP2 throne and went fastest with only seven minutes to go. When just five minutes left on the clock, seemingly all the drivers wanted to show what they got but while a handful of the managed to show some of the best sector times of the session, Evans (Panasonic Jaguar Racing) was the only driver to put it all together and take the lead in FP2. It looked like Turvey would be able to as well, but the Brit put his car into the wall just before crossing the line. In the end, Evans remained on top of the timing sheets, with d’Ambrosio in P2 and Bird in P3. 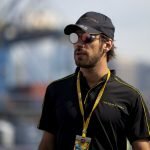 With qualifying just around the corner, all eyes are on the two title contenders Bird and Jean-Eric Vergne. While the Brit was able to show a promising performance in the second practice session, securing an overall third place, the Frenchman only managed to put his TECHEETAH on P14. Nevertheless, the competitive order in New York City is still very much open so everything is still to play for.